The happy owners of two-story private houses invariably face the question of how to make the stairs to the second floor. You can use the services of professionals, but with a limited budget this is often not feasible. Alternatively, you can buy a complete set of stairs in the store and install the structure yourself, but it is impossible to take into account the existing nuances and it will take a lot of time to fit the store product to the existing conditions, and the cost will still remain quite high. The staircase to the second floor must be strong and comfortable, so that no family member will be injured when climbing. The staircase to the second floor. Based on the existing construction skills, the size of the room where the installation is supposed to be, and the design features, you need to choose the type of stairs: spiral or mid-flight (straight or pivotal). Perform a calculation. This is one of the most crucial and difficult stages, requiring consideration of many factors. Select the wood from which the ladder is being made. Purchase the required tools and materials. Despite the apparent complexity of the task, making the stairs yourself is quite realistic. You need a screwdriver to assemble the ladder, otherwise the work will take a very long time. 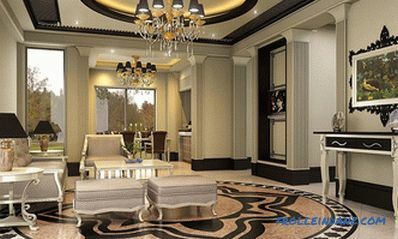 When choosing the type of construction, it is necessary to take into account not only compliance with the design of the room, but also the parameters of convenience and safety. A spiral staircase is chosen in case the space is limited and the installation of the mid-flight ladder is impossible for security reasons. 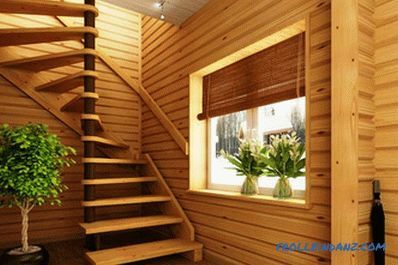 The spiral staircase is inconvenient for frequent use; it does not allow lifting large-sized things to the second floor and is unacceptable if there are elderly people or small children in the house, since it is not safe for them. 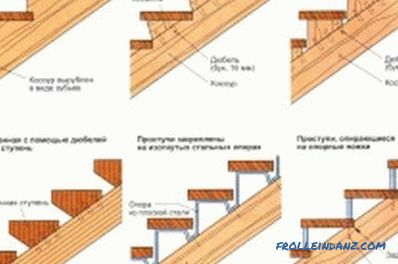 The most acceptable solution to the problem, how to make a staircase to the second floor, the use of a march design. Inexperienced masters make the straight march, because it is the simplest. Although this staircase may seem cumbersome, but with a little imagination and skill, under it you can organize a dressing room, pantry, or a cozy place for solitude. 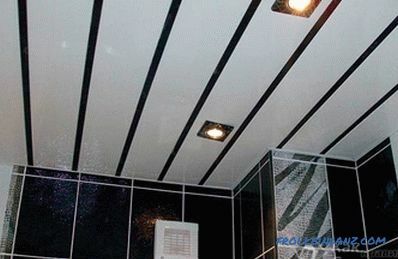 If the height of the ceiling is significant, then you can make the stairs turning, the marches of which are separated by an intermediate platform. When installing the mid-flight ladder, please note that the optimal angle is 45 °. When choosing wood for the manufacture of a staircase, you need to pay attention to the fact that there are no cracks, chips or other mechanical damage on it. There should be no dark spots on the surface, and the wood itself should be dry. 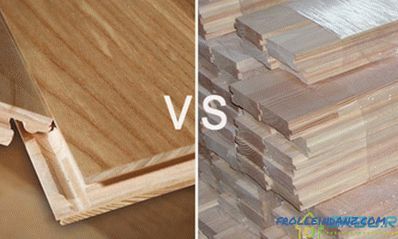 The material is best used spruce, oak, larch, ash or maple. 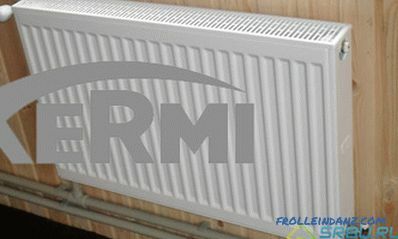 Beech as a material for the ladder is applicable only in well heated rooms, as it is very sensitive to temperature changes. 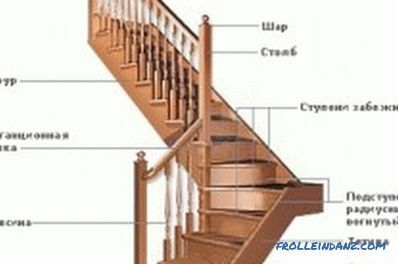 Types of fastening steps to the stairs. The dimensions of the stairs are calculated. To do this, measure the height between floors, taking into account the overlap. 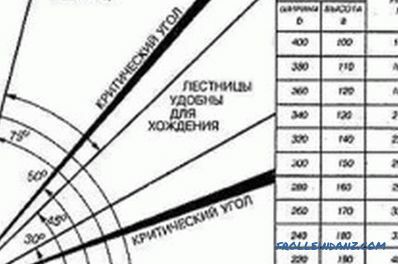 This determines the height of the future structure. Taking into account the fact that the step according to the norms should be about 18-20 cm in height, after dividing the height of the structure into it, the number of steps is determined. By multiplying the resulting number of steps by 30 cm (recommended step width), we get a projection of the size of the stairs on the floor. Based on the resulting projection size and height, the cross-member is calculated. When making calculations, do not rush, it is better to check everything several times. 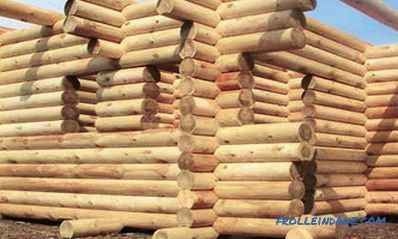 The stability, durability and convenience of the future construction depend on the accuracy of the calculation made. It should be borne in mind that for the first few years the house is shrinking; therefore, if the ladder is rigidly fixed, then it may be subjected to deformation or change the angle of inclination. Calculation of the stairs for the second floor. board 30x150 mm for the manufacture of risers. The most difficult to make kosoura, which should be made of well-dried wood. The material should be selected only hardwood. Based on the calculations made, taking into account the angle of inclination of the future design and the size of the steps, a pattern is made for the manufacture of which you can use thin plywood or thick cardboard. The kosour is fastened below with a support bar, and from above it is fastened with a beam of floors, therefore grooves are made in its upper and lower parts. The protrusions are cut with a jigsaw, and then the surface is polished. When fabricating steps, their width may slightly protrude above the risers. The length of the steps is equal to the width of the stairs with railings. The risers are made of the same length, and in width they should be strictly equal to the height between the steps. Balusters for the manufacture of handrails can be made independently, but it is better to get ready-made, which will not only serve as a support for the railing, but also bear a decorative function. The final step is the installation of the structure. Initially secured kosoura. From above they are cut into the ceiling beam, and from below they are fixed with the help of a support beam. When installing kosour it is necessary to use the level so that the ladder is level. Also, for extra strength, kosoura can be additionally attached to the wall with dowels. In order for a staircase to be strong, all its elements are first lubricated with wood glue, and then fastened together with screws and bolts. Treads are initially attached, and then the steps themselves are set. Glue is used not only for reliable fastening. But also in order that the ladder did not creak when walking on it. The railing is installed last. To do this, initially mounted balusters. Usually on 1 step 1 baluster fastens. At the beginning and end of the stairs are mounted balusters. 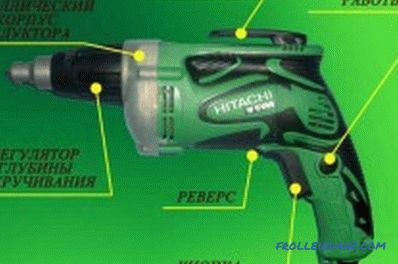 Self-tapping screws are used for fastening, and then plugs are installed. The railings are attached to the balusters. At the end, the treatment is done and a decorative coating is applied. Thus, the manufacture of stairs (from the very first moments to the last) will not take long.